The CLAN MATHESON was a 3917 gross ton ship, length 381ft x beam 43.3ft, one funnel, two masts (rigged for sail), single screw, speed 11 knots. There was accommodation for 1st and 3rd class passengers. Launched for the Clan Line (Cayzer, Irvine & Co) by Napier, Shanks & Bell, Glasgow on 20th Aug.1883, she was used on the Far East service. In 1893 she grounded in the Suez Canal, causing massive cost penalties for her owners and in 1895 cruised with guest to the opening of the Kiel Canal by the Kaiser. 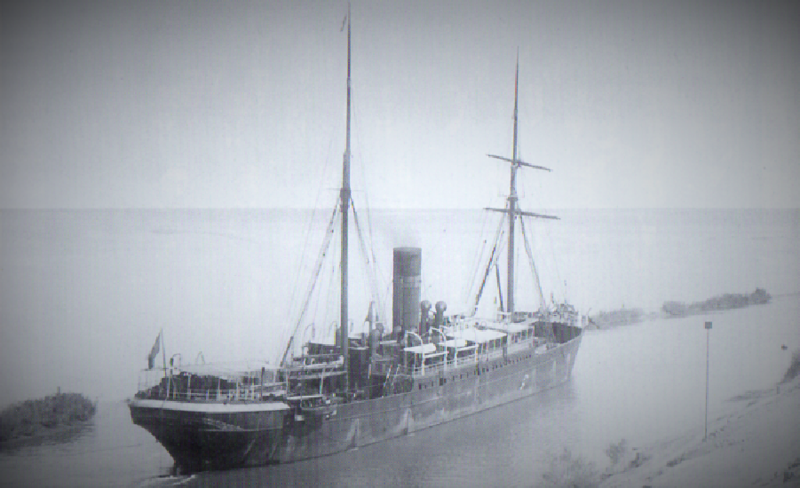 Sold in 1905 to Hamburg Diederichsen, Jebson & Co, she was renamed MARIECHEN and used on their service to Vladivostok. In 1906 she grounded at Chichagoff, Alaska, was refloated and towed to Seattle where she was condemned and scrapped.